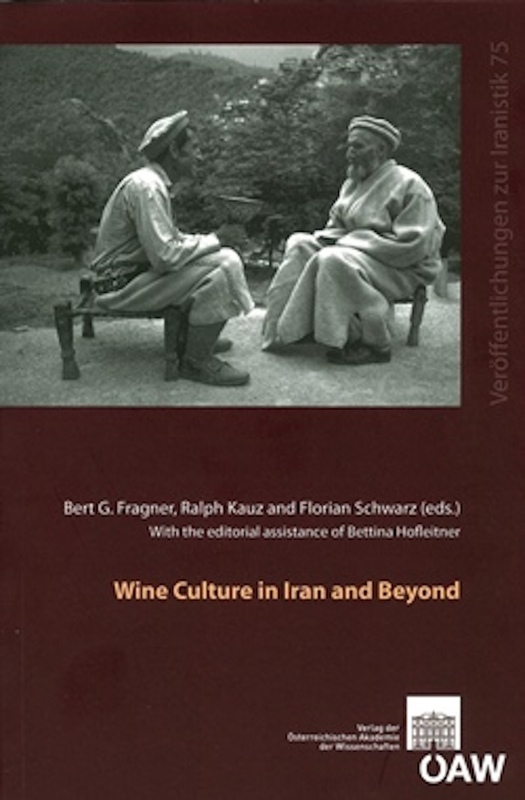 tarting from important new archaeological findings and insights that have led to a rethinking of the history of viticulture in Iran and its wider Asian context, this volume explores various aspects of the cultural, social and political significance of grape wine in the Iranian cultural sphere. 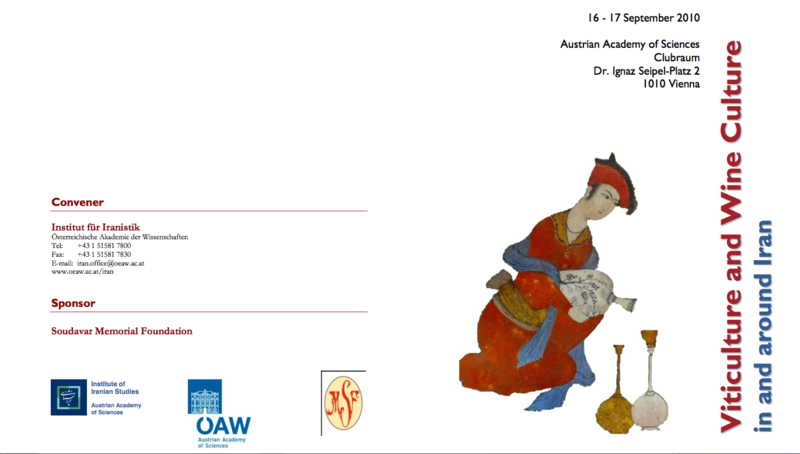 It assembles specialized studies and interpretative essays ranging from the question of the origins of viticulture and winemaking and the trade of wine between the Iranian plateau and China to viticulture and wine consumption in 20th-century Kafiristan, from the place of intoxicating beverages in hadith to the nature and function of wine in classical Persian poetry and Iranian architecture, from the ambiguities of alcohol in pre-modern Persia to the challenges of modernity and colonial encounters. 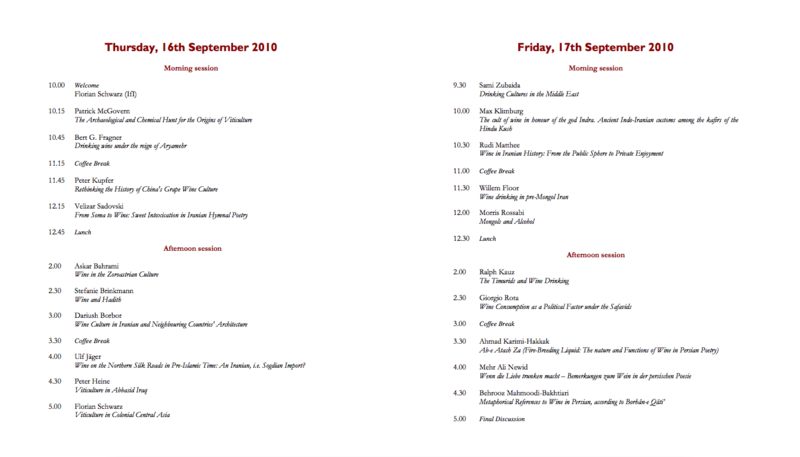 The proceedings of the conference was published by the convenors, Bert Fragner (former Director of the Institute of Iranian Studies of the Austrian Academy of Sciences), Ralph Kauz (Professor of Sinology at the University of Bonn), and Florian Schwarz (Director of the Institute of Iranian Studies of the Austrian Academy of Sciences) in 2014 entitled ‘Wine Culture in Iran and Neighbouring Countries‘.